California Women for Agriculture (CWA) was formed in 1975, in the Coachella Valley. The name was chosen to develop a cross section of members. In fact, the nucleus of the first chapter was made up of consumers, as well as farmers. Today our membership is as diverse as the industry we represent; bankers, lawyers, accountants, marketing professionals, consumers AND farmers. With 20 chapters and 2,000 plus members across the state, CWA is the most active, all volunteer agricultural organization in the state and members are actively engaged in public relations, education and legislative advocacy on behalf of agriculture. College of the Sequoias is a comprehensive community college focused on student learning that leads to productive work, lifelong learning and community involvement. College of the Sequoias affirms that our mission is to help our diverse student population achieve its transfer and/or occupational objectives and to advance the economic growth and global competitiveness of business and industry within our region. College of the Sequoias is committed to supporting students' mastery of basic skills and to providing programs and services that foster student success. The Exeter Chamber of Commerce is dedicated to helping local companies grow their business by taking the lead in programs and events that help create a strong local economy and make our community a great place to do business. In 1951, the State of California took steps to secure its natural resources in the San Joaquin Valley. Through special legislation, the Kings River Conservation District (KRCD) was formed. Today, KRCD is a leading resource management agency for the Kings River region serving agriculture, business and residential communities within 1.2 million acres spanning portions of Fresno, Kings and Tulare counties. The mission of KRCD is to provide flood protection, cooperate with other agencies to achieve a balanced and high quality water supply, provide on-farm support in efficient water conservation practices, and develop power resources for the public good. Our core values are: Integrity, respect and openness in dealing with people. An atmosphere of teamwork enabling leadership and learning. Adherence to principles of professionalism, accountability, excellence and innovation at all times. Solutions that are practical, politically and economically feasible, scientifically sound and environmentally sensitive. The Porterville Chamber of Commerce is dedicated to continually enhancing the economic health and quality of living in the greater Porterville area through the delivery of a comprehensive program of work including areas such as: business recruitment, development and sustainability; education partnerships; networking for business growth; city promotion; community events; and business advocacy. Tulare's first fair was actually a citrus fair which was held in the historic pavilion located in what now is Zumwalt Park. It was held in October of 1893 and ran for five days. Ironically, Tulare then had little or no citrus of its own and had to import the fruit to be displayed from the east side of the county. At that time there were eight members of the board of directors: Jasper Harrell, and H.P. Perkins from Visalia; W.B. Cartmill, A.P. Merritt, and E.D. Castle from Tulare; Jacob Hayes from Poplar; George S. Berry from Lindsay; and G.A. Dodge from Hanford. 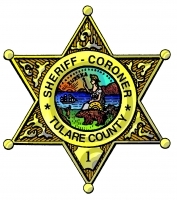 The Tulare County Fair began in 1915. Since its inception as a small "sales ring" during the World War I era, the Tulare County Fair has been through its own private "Wars", ranging from disastrous fires, delinquent assessments, union fights and alleged breaches of contract. About 1915, several Tulare area farmers interested in cattle and hog raising wanted to promote better cattle and hog sales in Tulare. They banded together and purchased five to ten acres of land where the Chamber of Commerce Office used to stand at the southeast corner of Alpine and "K" Streets. The original group included R.F. (Frank) Guerin, W.J. (Bill) Higdon, R.C. Sturgeon, Alfred J. Elliott, W.H. Wilbur, Alex Whaley, Alan Thompson and W.F. Mitchell. They were the nucleus of the Tulare Livestock Association. They built a small sales ring and stalls and hired a top father-son auctioneer team from Los Angeles, Rhoades and Rhoades, to do the selling. Their ring man was James McCallister, who later moved to San Francisco to become a wealthy automobile dealer. The first livestock fair was held in September of 1919. Guerin was later to recall that when the Board of Trade, the forerunner of today's Chamber of Commerce, saw the need for a fair, it asked the sales ring owners to help. The group deeded the property, which had been recorded in Sturgeon's name, to the Board of Trade reserving the right to hold sales. In 1924 or 1925, according to the late Alfred Elliott, two parcels of land east of the original site were obtained. One, the site of a baseball park, was given to the Chamber of Commerce by the city. The other was purchased by the payment of delinquent taxes on the land. Farm Bureau is a voluntary and independent non-governmental, non-profit organization of agricultural producers united for the purpose of achieving educational improvement, economic opportunity and social advancement. Farm Bureau helps give farmers and ranchers a united voice to promote and protect their common interests without regard to political or religious affiliation. Farm Bureau is local, statewide, national and international in scope and influence. Tulare County Farm Bureau is comprised of agricultural members (those who receive income from farming or ranching), associate members (those who do not receive income from production agriculture and are non-voting, collegiate members under the age of 25 and business support members. Tulare County Office of Education provides services to over 100,000 students in 43 school districts throughout Tulare County. They provide business, support, instructional, and special services for our public and private schools throughout the County. The Hispanic Chamber is a growing business advocacy organization. Membership in the Chamber is a sound business investment. From saving you money on basic business service to representing your voice on regulatory issues, the Chamber works to make your business stronger. $50 off Visalia Chamber of Commerce Membership for FB members only. Call 734-5876 for more information. 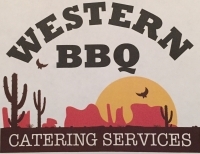 Western BBQ Catering has been in business since 2001 and is family owned and operated. We are detail oriented and enjoy assisting our customers in their event planning. Our objective is for you to enjoy yourself and have a very memorable, stress-free event. Services range from a modest meal to an all-inclusive event with linens and china service. We have an extensive menu, and we will deviate from the typical selections to fulfill a client's special request. Western BBQ Catering has become a rewarding venture thanks to our family, friends, repeat customers, and the many referrals from those we have served.